This morning, Motorola announced a new Quick Charge 2.0 product to their line-up that helps you turbo charge on the go in your car, the TurboPower 15 Car Charger. 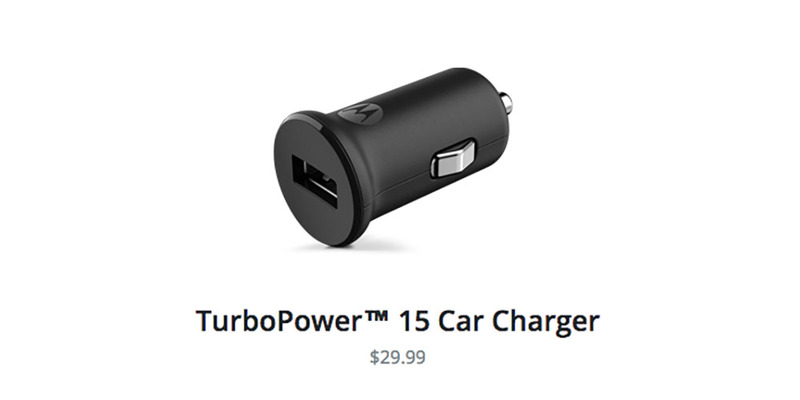 Like their Turbo Charger, you can technically receive up to 8 hours of battery juice in just 15 minutes time with the TurboPower 15 Car Charger. Within the last year, Motorola became one of the first phone manufacturers to dive head first into the Quick Charge 2.0 game through their Turbo Charger. All of their flagship phones from last year support quick charging, including the Moto X (2nd gen), Nexus 6, and Lollipop-less DROID Turbo. We’ve talked about how big of a deal quick charging is enough times that I’m sure you don’t need me to go through it again, right? This little car adapter runs $29.99 and is available today and should work with Quick Charge 2.0-ready devices, not just Motorola’s line-up.